Our Teacher of the Week gives extra classes on Fridays and Saturdays to give back to her community. She was one of our Teachers for Change last year. 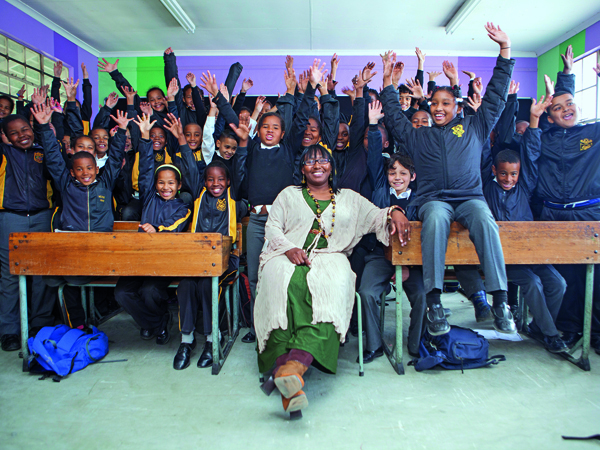 I teach Grade 4 at Wespoort Primary School in Mitchell’s Plain, Cape Town. I believe I’m a born teacher. Working with children gives the best opportunity of influencing young people. Becoming a teacher was my way of giving back to my community. Learners must do all the work I give them. How else will I know what they’re strugging with. Use technology where you can. Children often find it easier to solve equations on computers in the laboratory. Make sure learners have mastered basic skills such as reading or their inability will hamper them later. What advice do you have for new teachers in any subject/grade? Don’t be afraid to go the extra mile. Give extra lessons if necessary. At present the classes are so big you can spend only a minute on each child. That’s why I give extra maths and English lessons to learners in Grade 4 to 12 on Fridays after school and on Saturdays until 4 pm. The iPad laboratory our school won in the Teachers for Change competition has changed the lives of more than 1 000 learners who are now exposed to this technology. In my class we especially use it to master the times-tables. We have the country’s future doctors, advocates and magistrates in the community. All we have to do is give them a chance.